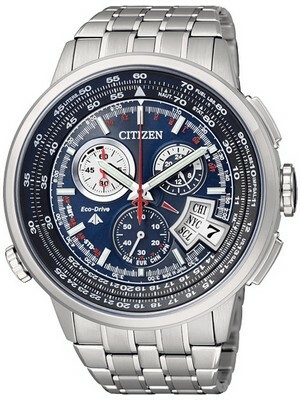 This Seiko Kinetic Men’s Arctura Kinetic Chronograph SNL025P1 watch is an analogue quartz watch equipped with an Automatic Generating System developed by Seiko .This watch belongs to the “Arctura” series from Seiko which represents the strong, solid build quality and aerodynamic design inspired by the arc of the nature. This watch has energy depletion forewarning function. This watch has a central stand alone time-seconds with a new 7L22 Kinetic quartz movement devices. It’s sustainable energy is sufficient to run for five months, a permanent exemption for the battery. Kinetic technology winds from wrist motion and never needs battery. Capacitator stores enough energy to run watch for up to 5 months when fully charged. This Seiko Arctura watch has a chronograph records elapsed time up to 45 minutes in 1/5th seconds with separate minute and 1/5 second hands. This watch includes gunmetal grey round dial with sapphire crystal, hour, minute, and second hands, a stopwatch minute and 1/5 second hand that measures up to 45 minutes in 1/5-second increments. This watch also has a double-locking clasp with push button release, stainless crown and screw down case back. In this watch the date displays at 4 0’clock position. This watch has an overcharge prevention function, energy depletion forewarning function and automatic power generator with full charge duration of approximately 5 months. This watch also has a double-locking clasp with push button release, stainless crown and screw down case back. This watch is suitable for swimming and snorkeling. Most people who purchase this watch is really happy with this watch. Its look is amazing. The price of this watch is also sensible. 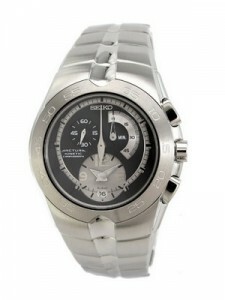 This watch is available for USD 399.00 with us.